Snowflake ComputingSnowflake Computing CEO Bob Muglia. 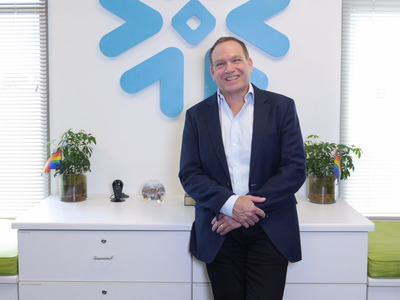 After 23 years at Microsoft and two at Juniper Networks, Bob Muglia is in his first CEO role, happily running a fast-growing cloud-database startup called Snowflake for the past four years. But Muglia will forever be known as a former key executive at Microsoft. He joined Microsoft under Bill Gates in 1988 and helped build the company’s first database (still a huge product for it today), worked on Office, MSN, and Windows, and then ran Servers and Tools, one of four major business units that was worth $US15 billion and employed about 10,000 people. Muglia is also the first to admit that he will also forever be known as the guy who suffered two pretty humiliating career crashes under Steve Ballmer, the former Microsoft CEO. He told Business Insider that it was these rough moments that shaped him. The first time was when Ballmer reorganized business units – and Muglia thought he would be in line to run one of them. But he wasn’t offered that job. Instead, he would run a “startup” group within the company, helping create a new computer storage group, as he describes it. Instead of leaving the company, Muglia “called every colleague I had worked with in a material way at Microsoft, and I told them the story of what was happening,” he said. That story was that while, yes, it was a smaller role at the company, he was excited to build the new team. Nobody bought it. He did well again and was promoted. In another big reorganization, Ballmer handed him his own group: Servers and Tools. He was now one of four top presidents. He heard from the colleagues he had called. This time, they told him they admired his attitude. They liked that he didn’t tuck his tail between his legs, hide, then leave quietly. “We all have situations where we are not successful, but it’s how we handle it,” he added. In 2011, while Servers and Tools was a $US15 billion business, Muglia and Ballmer butted heads again, apparently over the direction of how to take the company into cloud computing. 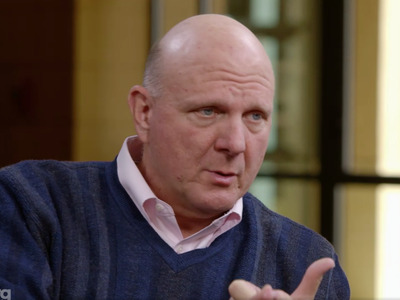 His dismissal was once again very public: an email to employees from Ballmer published publicly. Muglia’s old job was handed to Satya Nadella, who would eventually be picked to replace Ballmer as CEO. And Muglia was in a bind. Thanks to a “major league” noncompete clause, he said, Muglia couldn’t take another job at another major software industry company. He landed at Juniper Networks and stayed for two years. Juniper was also in an era of public humiliations. Shortly after Muglia’s arrival, for instance, its CEO was ousted suddenly, and an activist investor, Elliott Management, expressed interest. That experience also shaped his thinking as CEO of Snowflake. Gates would get into the nitty-gritty technical details, and Ballmer into the business questions. The pricing models he chose for Snowflake, for instance, were inspired by Office 365 – “and that came from Steve,” he said. Gates taught him an opposite lesson. While Gates was careful to email his questions, instructions, or annoyances to only a few top people, not whole teams, Muglia posts his thoughts on Slack for all to see because it gives employees a level of transparency into his thinking, he said. But there’s one big takeaway on being a boss that he learned from his own peaks and valleys. His approach seems to be working. He was employee No. 34 when he was hired as CEO of Snowflake in the summer of 2014, he said. The company now employs 300 people and has over 900 customers using or testing the product, he said, with “hundreds” using it to run their business. Snowflake was also just named to Business Insider’s 51 enterprise startups to bet your career on in 2018.